Welcome to Herndon Animal Medical Center veterinary practice, where we provide spay and neuter services for pets. Kristan Gutowski invites you to learn more about the spay/neuter services we provide so that you can take this important step in your pet's health and wellness. Spayed female pets face a reduced risk of certain cancers, will not go into heat and attract unwanted attention from male pets, and can live a longer life. An unsprayed female dog who is in heat can be a real nuisance for the whole family. Neutered male pets will be more affectionate, less aggressive, and less likely to get testicular cancer. 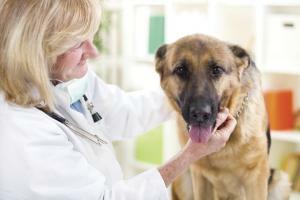 They can live longer as a result of neutering services as well. Without neutering, male pets can be distant and may be aggressive with other pets or with family members. Protect your family’s and your pet's health by scheduling this routine procedure with our Herndon veterinary practice! At our Herndon Animal Medical Center veterinary practice, we love animals and want to do everything we can to keep your pets healthy and happy. From routine services including spay/neuter and wellness exams through pet behavioral or nutritional counseling, we strive to help your pet feel safe and comfortable while responding to any questions you have. We want you to feel welcome at our veterinary practice. If you ever have a question about a service, simply contact us at 703-435-8777 and we would be happy to discuss more.